Keith Weller was one of those players during the late 1960s and mostly the 1970s who fans from every club admired. And yet there is a feeling that he could have been an even bigger part of English, and indeed England, football. Born in Islington North London in 1946, Weller was an Arsenal fan growing up and was with the club as a schoolboy. But the Gunners let him slip through their fingers and he instead joined rivals Tottenham Hotspur in 1964. Weller spent three years at White Hart Lane and made around 20 appearances for the club. Although highly-rated by Spurs manager Bill Nicholson he could never really establish himself as anything other than a replacement for the big stars as the North Londoners competed at the very top with a line-up packed with internationals. Millwall boss Benny Fenton saw the potential of the youngster and paid £20,000 to take him to The Den where he flourished. Nicholson was apparently reluctant to sanction the move but the player was determined to leave in order to get regular playing time. 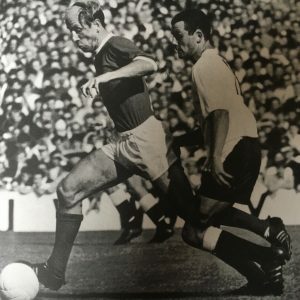 Fenton brought both Weller and Derek Possee from Spurs and they had a major impact as the second Division team employed an attractive, attacking style and pushed for a place in the top flight. The Millwall boss helped the former winger add to his game and his skills enabled him to play as both a midfield player and a striker whilst retaining the blistering pace that was integral to his game. 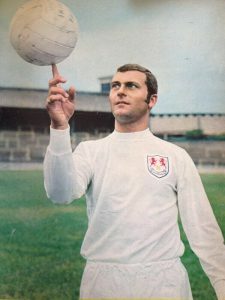 While they had a number of skilful players the second tier then, as now, was a tough division to escape from and when Millwall could finish only 10th in 1969-70 it became clear that Weller belonged in the top flight and deserved a chance there. 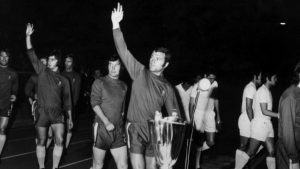 It was FA Cup winners Chelsea who won the race for his signature, forking out £100,000 to take him to Stamford Bridge. Playing almost exclusively on the right wing, Weller was top scorer with 14 goals in Chelsea’s 1970-71 season – one belter against Newcastle United in particular stands out, and he played a key role in the club’s triumph in the European Cup-Winners Cup, appearing in all but one game as the Blues overcame Real Madrid after a replay in Athens. But he never really seemed to fit-in with the ‘Chelsea set’ and the addition of Chris Garland and Steve Kember along with an injury and illness-hit start to the 1971-72 season saw Dave Sexton decide he was surplus to requirements. 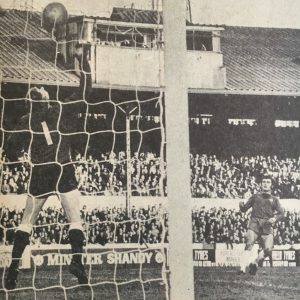 In September 1971 there was another £100,000 move, and this time the Londoner finally left London, for the less-rarified setting of newly-promoted Leicester City’s Filbert Street. New manager Jimmy Bloomfield was a great believer in the free-flowing style of football that suited Weller and he made the Foxes one of the better sides to watch of the period. 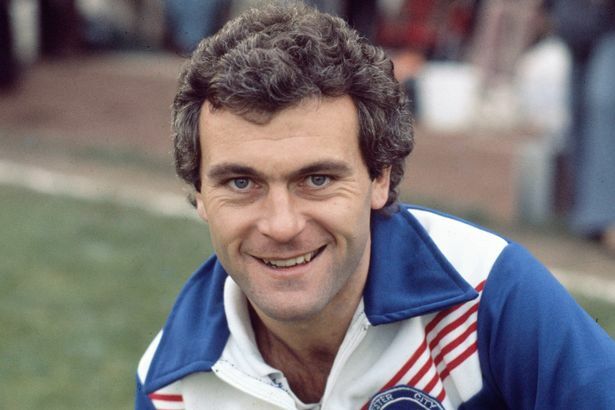 He also made Weller a key component of the team after being more of a supporting-act at Chelsea alongside the likes of Osgood, Hudson and Cooke. Bloomfield restored Weller to a more effective central role although he retained the versatility to switch outside when required. He allied that excellent pace to fine ball skills and the ability to shoot from distance and was clearly one of the outstanding English players of the period. He also showed an occasional temperamental side, perhaps best-evidenced when he refused to return to the pitch, effectively ‘going on strike’ after half-time of a match against Ipswich Town in 1974. Weller had recently had a transfer request turned down, had been falling out with teammates and was being barracked by sections of the crowd. After leaving the pitch at the interval he decided he’d had enough and went for an ‘early bath’. In total Weller spent eight years at Filbert Street and he lined up alongside a number of similar styled players including Frank Worthington, Len Glover, Jon Sammels, Alan Birchenall and others in making Leicester A team of entertainers during that period, although they rarely looked like claiming any silverware. Surprisingly he played only four times for his country. Clearly not the type to impress Sir Alf Ramsey (although he did captain an FA squad that toured New Zealand in 1969 and scored 11 times in as many games), it took the arrival as temporary manager of Joe Mercer for a first international cap to come his way. 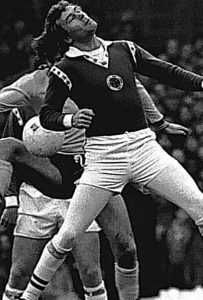 It was a Home International match against Wales at Ninian Park and Weller celebrated his arrival by laying on a goal for Stan Bowles in a 2-0 win. 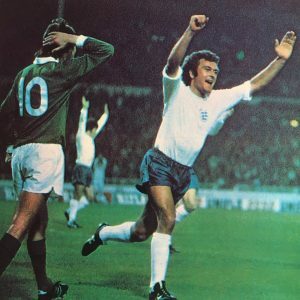 He played again against Northern Ireland four days later and got England’s goal, with his head, in a 1-1 draw. 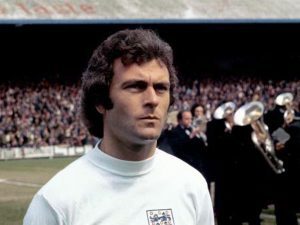 Mercer, who was in temporary charge while Don Revie fulfilled his duties with Leeds United, also picked Weller for the loss to Scotland and the draw against Argentina but those four matches – all in the space of 11 days – are the sum, and scant, total of his national team appearances. Weller continued performing at the highest level for Leicester throughout the 1970s but the club would finish no higher than 7th during his time there, whilst a 1974 semi-final replay defeat by eventual winners Liverpool was their best FA Cup showing. But it was another Cup tie, towards the end of his time at Filbert Street, that many remember him for. On 6 January 1979 freezing conditions gripped the country and only 4 of that day’s scheduled FA Cup 3rd round matches went ahead. One of the four was City’s tie against Norwich at Filbert Street. As the teams came onto the pitch it quickly became clear that Weller was wearing white tights to protect him from the cold. He ignored the many comments from away fans and produced a fine performance, scoring as his team won 3-0. 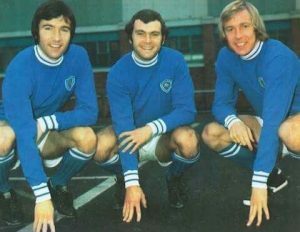 Knee problems blighted Weller’s later years at Filbert Street and after Bloomfield left, replacement Frank McLintock took over and he failed to save the club from relegation. New manager Jock Wallace used Weller’s nous in a young, inexperienced side in the 1978-79 season before allowing him to leave for New England Tea Men of the National American Soccer League at the end of the season. He left City having made just under 300 appearance for the club, scoring 43 goals. 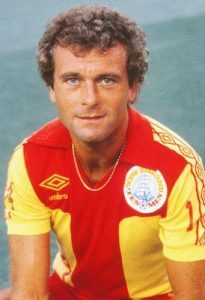 Having already enjoyed a loan spell in the NASL, he enjoyed two productive seasons with the Tea Men before moving on to Fort Lauderdale Strikers and, for a brief spell, Tulsa Rougnecks. He then moved into coaching, staying in the US and working with Fort Lauderdale Sun, Houston Dynamo, Dallas Sidekicks, San Diego Sockers, Tacoma Stars and Sacramento Knights. After retiring, Weller settled in Seattle working at various jobs including running a coffee shop. In the late1990s he was diagnosed with a rare form of cancer. In 2002 Leicester City fans raised £40,000 to help pay for therapy but he sadly passed away in November 2004. Former teammate Alan Birchenall also raised £27,500 to pay for research into the disease. The 1970s seems littered with players whose flair perhaps cost them more honours, both individually and as a team member. Keith Weller allied the flair to a hard-working approach and a willingness to give his all in every game. Yet it still feels as though his career should have had more reward than it received.